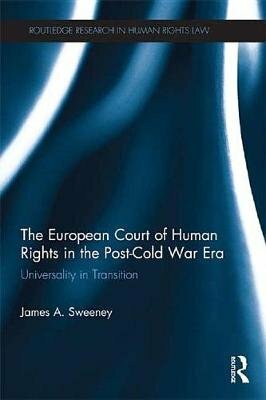 The European Court has been a vital part of European democratic consolidation and integration for over half a century, setting meaningful standards and offering legal remedies to the individually repressed, the politically vulnerable, and the socially excluded. After their emancipation from Soviet influence in the 1990s, and with membership of the European Union in mind for many, the new democracies of Central and Eastern Europe flocked to the Convention system. The voluminous jurisprudence of the European Court of Human Rights can now give us some clear information about how an international human rights law regime can interact with transitional justice. The jurisprudence is divided between those cases concerning the human rights implications of explicitly transitional policies (such as lustration), and those that involve impacts upon specific democratic rights during the transition. The book presents a close examination of claims by states that transitional policies and priorities require a level of deference from the Strasbourg institutions. The book proposes that states claims for leeway from international human rights supervisory mechanisms during times of transition can be characterised not as arguments for "cultural" relativism, but for transitional relativism .